Adolescents are dealing with an array of mental health challenges and need supportive, nurturing school environments. Spend some time in a U.S. middle or high school and you’ll likely hear and see what a very recent study in Clinical Psychological Science confirmed: Adolescents are dealing with more mental health issues than ever before. Move away from a punitive discipline mindset and toward a restorative practices approach to working with students who misbehave. Enhance social-emotional skills by utilizing specific frameworks. Make everyone aware of the cultural biases that impact relationships among everyone in the community. Let’s shift away from punitive discipline and toward a restorative practices approach that fosters a stronger sense of belonging. The research is plentiful on the ineffectiveness of traditional responses to kids’ misbehavior, particularly the negative impact of suspension on adolescents. Removing students from the school community is only going to exacerbate what are likely existing social-emotional challenges. Accountability is an important element of redirecting misbehavior, but let’s also provide students with the tools they need to help them make better decisions. Organizations such as the Morningside Center for Teaching Social Responsibility and the International Institute for Restorative Practices help schools build togetherness and restore kids to their school community who would otherwise be shut out and isolated after serving suspension time by engaging them in meaningful conversations with those who may have been harmed by offenders’ actions. 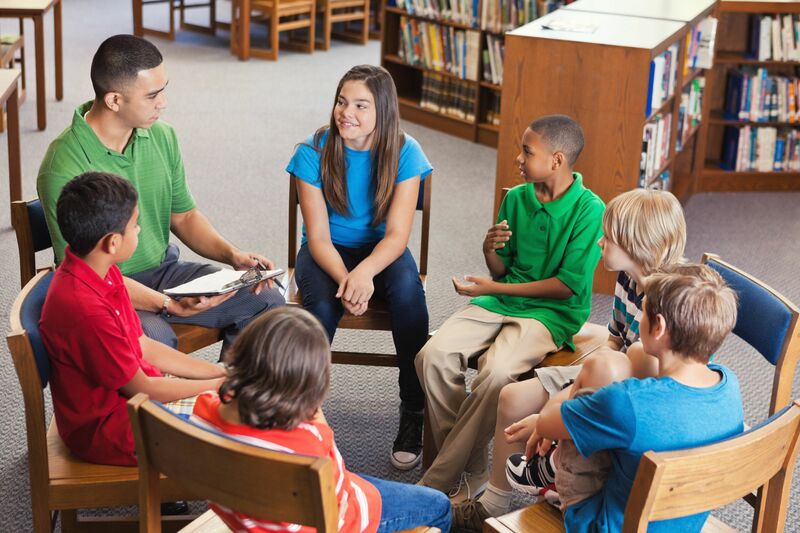 Shifting to restorative practices takes at least three years, but as schools such as Walla Walla, Washington’s Lincoln High School prove, the restorative practices payoff is well worth the time and emotional investment. Let’s help kids feel more confident about themselves and strengthen their interpersonal skills, while encouraging them to have strong and healthy relationships with their peers. Build a Responsive Classroom environment in the elementary grades and pair it with a Social-Emotional Decision-Making Lab so kids learn how to relate to each other on deeply personal levels. These initiatives give educators frameworks within which to teach kids concrete tools to promote empathy for their peers and to talk out conflicts they may have from time to time with others during the school day. Middle and high schools can implement Sources of Strength to encourage adolescents to become dependent on each other and not just the adults around them when they need help. The program calls upon peer leaders from a wide range of student cliques to serve as resources for others in their friendship circles who are in crisis. Enhance school adults’ awareness of and attitudes toward kids’ different cultural traits. According to research by the National Coalition on School Diversity, schools are more diverse than ever before, and many educators face a cultural responsiveness learning curve. This practice is likely the most difficult to foster because it has to start with honest conversations that require creating safe spaces in which to talk. Understanding hidden biases by taking popular assessments that expose the unconscious, or automatic, biases educators bring to the classroom—such as the widely recognized Harvard University Project Implicit—can be a difficult task for those who are unwilling to engage in such self-reflection or fear confronting the negative impact their unrealized prejudices may be having on their relationships with students. It’s important to take this step anyway—in fact, it’s a must. Recognition of hidden bias and microaggression is only the first step. Follow-up must involve actions to loosen the knot that binds negative classroom relationships. Transformational experiences that follow a hidden bias assessment—such as Undoing Racism—can do just this. The burdens today’s adolescents carry—proliferation of negative news stories via social media, increasing incidents of violence, and the opioid epidemic, to a name a few—demand an all-in attitude to deepening kids’ connectedness to their schools if they are to find solace anywhere. The landmark Adverse Childhood Experiences Study has clearly proven that the damaging effects of trauma on adolescents are very real. No one strategy will help; we need a comprehensive approach to fostering the nurturing, supportive, and empathetic environments our kids need to survive and thrive socially, emotionally, and academically.